AROnline reader and Rover Owners’ Club member, Martin Green, contacted us last week to report that there are still a total of eight MGR-built, 08/08 registered and delivery mileage cars for sale at former MG Rover Dealers SMG Rover in Brislington, Bristol. 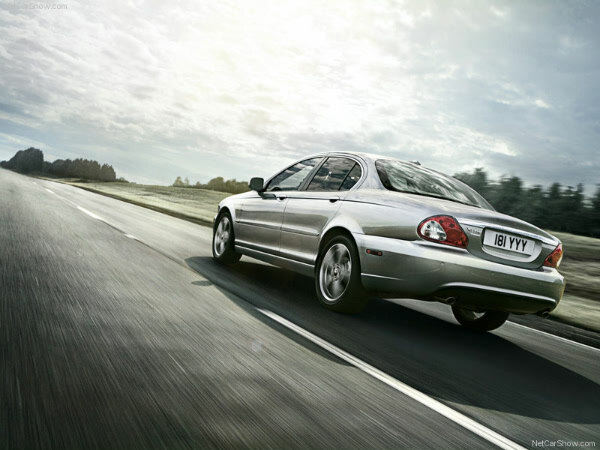 Intriguingly, SMG Rover’s Used Car Stock List also includes the likes of an 01/Y Rover 75 2.0 V6 Connoisseur 4 Door Saloon with 1,071 miles for £10,995, an 02/02 Rover 75 2.0 CDT Turbo Diesel Club 4 Door Saloon with just 560 miles on the clock for £11,495 and a pre-facelift 04/54 Rover 75 Club SE T 4 Door Saloon with delivery miles for £14,995!! Most of AROnline’s Motor Trade contacts all seem to work by the mantra “Let’s move the metal” so we should imagine that the guys at SMG Rover would be pretty keen to negotiate on those prices… SMG Rover’s Sales Manager, Paul Godfrey, can be contacted on 01173 111100. Martin Green also informed us that Jon and Tim Wilcox of A.E.Wilcox and Son Limited in Wickwar, Gloucestershire had two 08/08 registered Rover 45s in stock. However, as neither car was listed on the company’s website, we decided to investigate further and spoke to Tim who informed us that one of the two, which had now done around 2,500 miles, would shortly be offered for sale as a used car and that he was hoping to close a deal on the other one, which was believed to be the last 45 to leave the production line, later this week. I would be pleased to confirm that there is also a brand new, fully-optioned, LHD Rover 75 CDTi Connoisseur for sale in Italy at 22.000 euros. Will give details for those interested. Excellent – there are still customers interested in brand new LHD Rovers. Have you any pictures? Canio, could you please tell us where the Italian Rover 75 Tourers are? Please telephone Tim Wilcox at A.E.Wilcox and Son Limited (ex MG Rover dealers) on 44 1454294213 if you have any information. Puts me in mind of something I read on a Ford website once about nine Cortina Mk Vs being sold by FoMoCo in 1987. I wonder where they had been for five years, who bought them and if they were registered with ‘D’ and ‘E’ plates? I remember Top Gear once had a feature on cars sold as new years after they went out of production. Some seemed to hang around as “end of lines”. Some exported cars seemed to suffer this fate. When Ford ended Cortina production the tooling was sold to Anadol in Turkey so, in theory, you could still get them built new in 1987. You don’t expect them to be around for long? Longer than 4 years that is! Anyone in the know about this one?? But would anyone want to buy a car which had presumably been sitting around doing nothing for 4 years? Joke prices for cars that are effectively at least four years old. I’d rather spend £31k on a BMW! Whereas I’d rather spend £31,000 on a Cityrover than clog the streets with another BMW! I live in the US and would love to have that V8 75. It’s the only one for which any sort of repair support could be gained here. That said, I agree with Kevin here. £31,000 is a TON of money for a 4-year-old car, even with “delivery miles.” According to Google, that’s about $50,600, enough to buy all manner of posh or cool cars here. Its beauty and X-factor just don’t measure up to the price tag. That sum would leave you with a substantial amount of change after buying a Camaro V8, G8 GXP (Vauxhall VXR8), 300C V8, Challenger V8, or Mustang V8. It’s enough to buy most Cadillac or Lexus models and even a 528i. There’s plenty of style, power, and charisma available for less than that 75. Contrary to some of the other comments here, I would also guess that these cars (especially the V8) are probably thought to have “rounded the corner” for the dealer. They probably expect to get more now than they would have a year or more ago. This won’t mean deals, they think that a collector would want that now. Otherwise, why would they expect £11k for a 2001 model? Normal people don’t pay that for a 9-year-old car, even if it’s a really nice one. Interesting for me. I’m a Rover fan and currently drive a 600 in Oxford Blue. Can you give me some more details please? Wow, even is good as liking it. True I know. 75 in blue and then red, but expense. Oh the invoice terror! Is it? much 45 better, with leather and V6. America, yes for V8 will work here. Rover much better, where is China? Lots like and how, so retail it. Cool. Has anyone checked out SMG Rover in Bristol’s website… those prices are so unrealistic. Who would pay £10,995 for a 54 plate Streetwise? I paid half that for my 9 month old 54 plate 2ltr Diesel 45 just after MGR went into administration in 2005. These guys are never going to shift those cars at those prices. I would love that 75 V8 if I could afford it, although not at a nearly new price! However, don’t assume that eveything from SMG is unrealistically priced as almost two years ago my parents bought an unregistered MG ZR 115 turbo-diesel Trophy SE from them and managed to save nearly £3,500 off the original list price. A fantastic car, and the showroom they previously had in Feeder Road was a mecca for all Rover and MG enthusiasts. A lot of MG Rover dealers at that time that had cars crammed onto their forecourts that were on display with either handling damage or accumulated dirt but all the cars on SMG Rover’s forecourt were in a very presentable condition – it put many of the premium marque dealerships which I have visited to shame. The MG ZT 135, if it had been registered in 2005 and had, say, 5,000 miles on the clock, would be valued at £6,000 to £8,000. I can’t see who would pay double that to have it with a new plate. I would expect that any additional value would be lost as soon as you started driving it. I have always been told that a car needs to be used. I wonder what state the tyres, air con and rubber bits are in after standing still for 4 years? SMG Bristol are also asking for £2995 for a 12 year old, white Rover 200 with 70k on the clock – are they mad? Do they actually sell any cars? How on earth they’ve managed to stay solvent is anyone’s guess. I mean, it’s fascinating to see all the other delivery mileage cars that are 5 and 6 years old and it does make me wish I could have one, but £17k for a 5 year old Rover 75 Mk I? Mark R :The MG ZT 135, if it had been registered in 2005 and had, say, 5,000 miles on the clock, would be valued at £6,000 to £8,000. I can’t see who would pay double that to have it with a new plate. I would expect that any additional value would be lost as soon as you started driving it. I have always been told that a car needs to be used. I wonder what state the tyres, air con and rubber bits are in after standing still for 4 years? Exactly. They are 5-year old cars and should be valued as such. Surely a publicity stunt to get people in -I wonder if you can trade in your ten year old 75 for a new one using the Scrappage Scheme? I’ve just picked up a 2005 registered 54 plate 75 Connoisseur Tourer from an ex-MGR dealer which is still a specialist. http://www.millhouse-garage.co.uk/20966/millhousewesthallam.htm – my former dark blue 45 steed has made it into the showroom after a valet and fettle. Having returned with my 75 for some after sales service, I got talking to the loyal team there who have a variety of MGR metal available plus the salesman has a raft of written queries from Rover hunters. Another member of the team was telling me that there were STILL some practically new cars still around! Fascinating! Where was this airfield they were all parked up on some time ago? Dave :I live in the US and would love to have that V8 75. It’s the only one for which any sort of repair support could be gained here. That said, I agree with Kevin here. £31,000 is a TON of money for a 4-year-old car, even with “delivery miles.” According to Google, that’s about $50,600, enough to buy all manner of posh or cool cars here. Its beauty and X-factor just don’t measure up to the price tag. …………as above 31 grand for a ROVER !!!!!!!!!!! It will still be there in another 4 years at that price. In fairness, that V8 still has only 20 miles on the clock. Who is going to pay £10995 for a Rover Streetlamp!!?? Or £2995 for a pensionable 220 SDI??!! As much as I love my Rovers & MGs I wouldn’t pay SMG’s prices, no matter how well presented their cars are. Surely it would be better to price the cars realistically and move them on for enthusiasts to enjoy. Sitting in a warehouse / barn / field for 4+ years won’t have done them any favours either. Unlikely – these cars are pre-registered on 08-plates so I doubt they comply with the rules as they are, strictly speaking, not new. SMG Rover is well-known in Bristol for charging almost list price for their pre-registered cars that have delivery mileage but are, in fact, several years old. This offer from eBay looks like a fake. There are three pictures of three different cars. Additionally, the interior picture is taken from the catalogue. No Peter… I’ve spoken to the owner who told me that he’s got more than one car – all with full optional extras… We can agree that the price is a bit high but, believe me, he’s got the cars… !!!! Canio, how many cars has he got that are brand new? Just checked out the SMG website and how over-priced are they? I have recently purchased a late 2003 MG ZR 160 and paid just over £3k with 30k on clock but, if I had gone to this rip-off merchant, I would have been looking at nearly £10k. No wonder they have loads of cars for sale. They are asking £3k for a ’97 200 SDI but I’ve just seen one in my local paper for £350 with a similar mileage – it’s hardly a rare enough car to warrant that price. Radio Borders had a Cortina Mk V Estate radio car which was on a C-plate, though, if I remember rightly, whilst it looked like a regular Cortina Estate, it was actually a P100 with a clever body transfer that allowed it to carry a mast etc. Lovely car – I believe one of only 17 built.. It’s not a Connoisseur but a Contemporary. I live in Sheffield – no one around here actually realises what it is… Great fun when next to a poxy 320 Beemer !!! SMG Rover in Bristol, are they the ones with a Rover 2000 shaped mosaic outside the entrance? Also, I once bought an old but “new” lhd Rover 75 V8 Connoisseur from a man outside Birmingham for about a third of list price. However, the car had some issues, such as non-working climate control, which was a pain to sort out. It also suffered from having been worked on by cowboys. Nice car though and quite rare here in Sweden. I have an 07 MG ZT 160 Turbo in Goodwood Green with all the toys. I bought the car from SMC in High Wycombe with only 4000 miles on the clock just over 16 months ago – it’s still only done 10000 miles now. I love the car but, let’s face it, it was made in 2005. SMG Rover’s cars may have far newer registrations but they are all 2005-built cars – still great VFM. I have a late 2004 1.8 Auto 75 Tourer. Lovely car. Badly made. It’s done 55000 and has had the usual HGF, various electrical glitches and the auto box now seems to be on the way out. It’s also quite noisy because it seems to have vastly less sound proofing material than the pre-facelift cars. It’s worth £2600 as a trade in according to CAP. I have always loved Rover’s products but, after the restyle in ’04, the quality really nosedived in my opinion. There is no way that a car made at most 4 months after my one and which has been unused for 4 years would be worth the money being asked here. If they were up at £9999, possibly, but, at minimum, the tyres and quite likely some of the braking components would need VERY through checking – otherwise the moment you get up to a reasonable speed trouble will occur. Why do I think this? Last week I made the mistake of buying a Peugeot in a similar situation – brand new, but made in 2005, not quite a standard spec so it’d never sold. The faults, which built up over a 150 mile drive, included ABS failure and a warning from the auto box which made it go into a limp home mode – I see no reason why these Rovers would be any different. I think this is great. I’ve seen a few ’06 plate 75s near where I live and honestly believe that the 75 has what it takes to cut it with today’s competition. The car still looks modern and clearly has a retro look that won’t date! Neil, I am very sorry to hear that your Rover has not been trouble free. However, I can only tell of my time with MG ‘Z’ cars. My ’07 MG ZT 160 Turbo has never put a wheel wrong. She looks great and drives very well – I just came back from the family holiday in Looe, Cornwall and the car was a joy to drive (can’t say the same for the weather though). This is my fifth MG in a row – the last was an ’05 ZS 180 and, once more, therewere no issues with any of them. True my ZT miles are very low as we use a ’54 plate Streetwise as the every day car and that has now done 36.000 miles and has been fine. I also have an S reg MGF VVC, which has had a new H/G, but is still a great little sports car. I would be one of the first to buy a Longbridge-built MG 6 if the price was right. Pete (a huge MG fan). Beautiful car. I still drive my Rover 214Si. Hope we see them again on our roads in Britain, Europe and in Malta. It’s highly pleasing to see the MG ZT/Rover 75 still in this showroom. 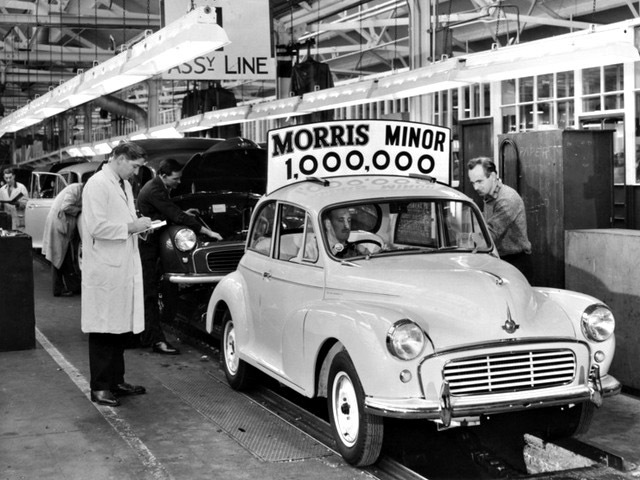 We shouldn’t be so surprised by this as they were truly the last of the great British cars. What saddened me was the way MG Rover suddenly ended without any regard for what was actually lost. I ran my own Rover 75 2.5 V6 Connoisseur for 124,000 miles. It didn’t miss a beat. There hasn’t been a worthy replacement for it at the price. Yes, I miss my 400 and ZS too. Correction for all you pedants out there. Yes, I miss my (Honda Domani-based) 400 and ZS too. Seemingly, some of these are still available! Dragging a blog back to life after 3 1/2 years! You’ve got to laugh at those prices CRACKERS! The 1.8T has had 3k took off window price already, and is still the thick end of 17k! I think a collector / museum should look to obtain some of these to keep as the last breath of an industry attacked on all sides. When I test drove a ZT 260, it was from a main dealer, with 11 or so miles on it. It was £15,995. Reduced from £31K or so. This would have been around 2006. I think Phoenix Coventry were selling 260s for even less that that in July 2005. You literally couldn’t give them away. I went to buy a TF135 and they were begging me to take a 260 instead. If I had the money I’d certainly be buying one or two of these ‘fabulous’ cars. I won many Rovers/Austins/Morriss’s including Amabasssdor, Morris Ital, Rover 418 Tourer, Metro Cabriolet, 214 Cabriolet, Montego, MGZT, 75, Metro 1.1, 1.4 – to name a few. Great British Motoring and proud. Wouldn’t have a BMW given!! 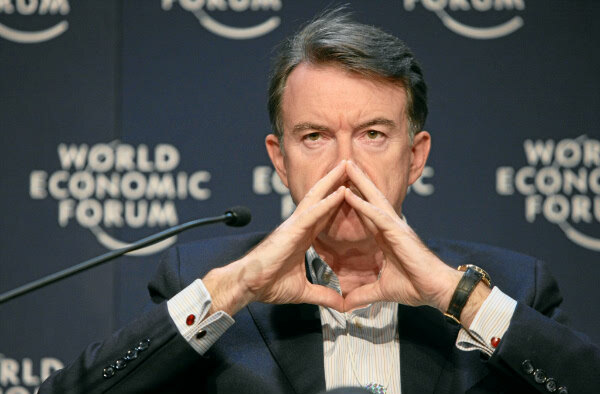 (Betrayed Midlands Workers). 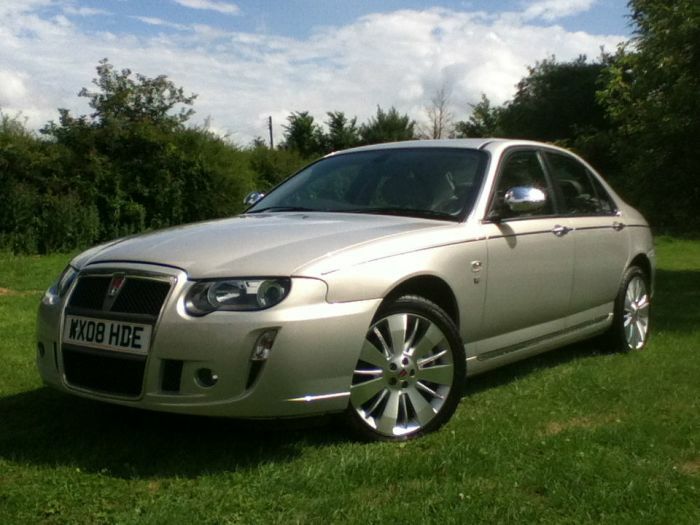 The 2008 Rover 75 V8 SE Connoisseur mentioned in this article, priced at £30,995 is still listed for sale at SMG Rover 7 YEARS LATER! They have generously dropped the price all the way down to £29,995 now, though 🙂 . That must be some kind of record for the time taken to sell a car. Another 2 years on and it’s still there!!! And it still looks great with the full depth grille & those alloys! Despite the advances in car design since then, (or should I just say “changes”), the R75 still looks the part.